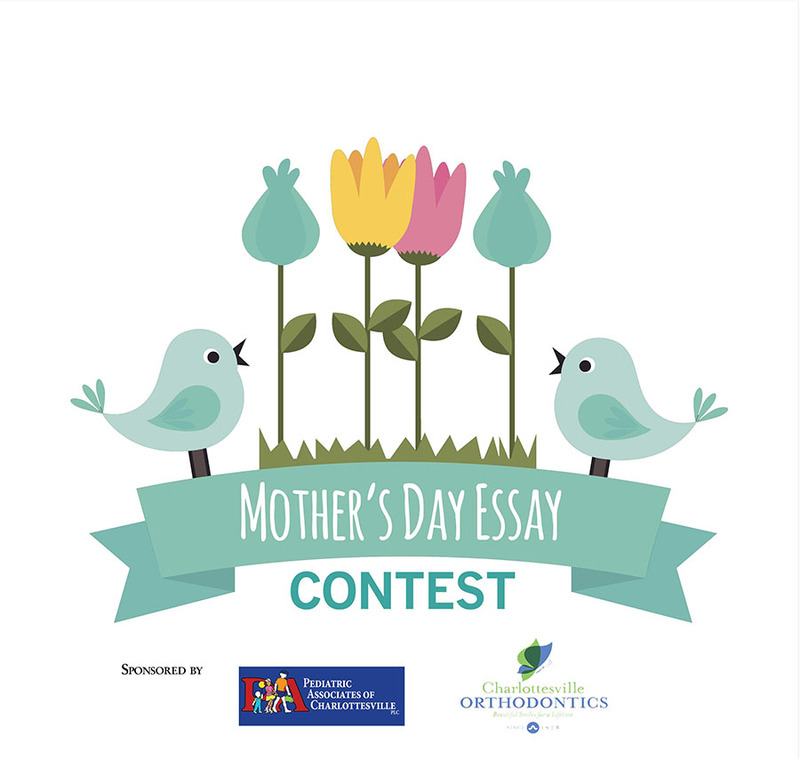 Participate in CharlottesvilleFamily's 2019 Mother's Day Essay Contest! In your essay, written in first person, please describe to us your most memorable mother moments or what you love most about being a mother. Entries can be funny or heartwarming—it’s up to you! The writer of the winning essay will win a wonderful gift basket from the Charlottesville Wine & Country Shop and will be published in the May/June issue of CharlottesvilleFamily’s Bloom magazine. Essays must be 500 words. Please include your name, phone number and email along with your essay submission. All entries must be submitted through this form or emailed directly to our Senior Editor (Editor@IvyPublications.com) by Wednesday, April 10, at midnight. Judging will be completed by CharlottesvilleFamily’s editorial staff and will be based on originality, creativity, appropriateness to contest guidelines and overall writing quality. The judges’ decisions are final and binding. The winner will be notified by phone and/or email on or around April 19, 2019. Click here for the official contest rules and guidelines. Thank you to our wonderful sponsors Pediatric Associates of Charlottesville and Charlottesville Orthodontics! * 1. Submit your essay here! **Limit to one submission per entrant. By entering, entrants warrant that her entry is original and does not infringe the intellectual property rights of a third party, has not been previously published in any medium and permits CharlottesvilleFamily to print or post the essay either in CharlottesvilleFamily’s Bloom magazine or online. By submitting, entrants grant the editors free license to edit, publish, promote or republish at any time. * 2. If we choose to publish your essay, how would you like to be identified?